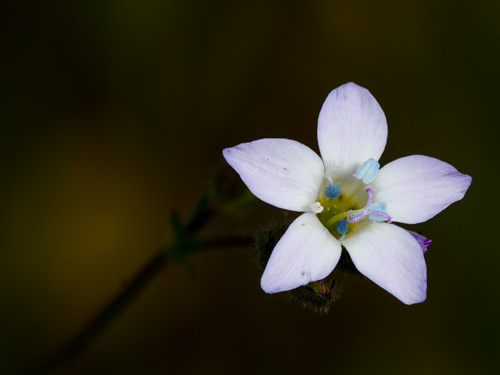 This native, annual plant is one of of the most showy and easily recognized tiny Spring flowers. 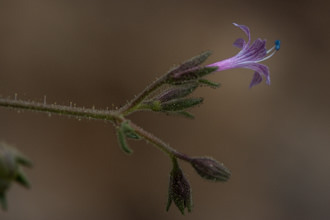 Lucky for us, Fringed Linanathus is found throughout the Santa Monica Mountains occurring in open patches of coastal sage scrub especially after fire. However short the plant and tiny the flower, a cluster of these flowers are bright enough to catch your attention. I first saw this plant while working on the Hidden Pond Trail. 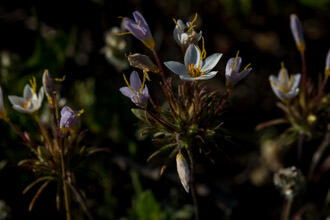 This area contained fewer than a dozen of these plants and they were scattered about. I was walking along the trail towards the next section that needed repair and saw something small and different enough to warrant further inspection. At the time I had no idea what this flower was and it took some time to positively identify the flower. One or two plants were bright and cheery enough for me to take note of but a couple of weeks later I was stunned by a large carpet of these flowers while working on the Chumash Trail. When you see these flowers at peak bloom you are going to be thrilled by the brilliant carpet of bright Pink, Lavender or White flowers. When I saw these plants again on the Pentachaeta Trail I was delighted enough that I told everyone I spoke to and managed to convince a fair number of people to come with me to see just how beautiful these flowers are. These flowers are short lived and like many of the other first arrivals of Spring will be gone after a just a few weeks. If they are in bloom, make time to see them! 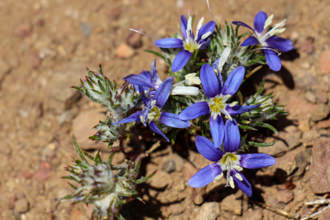 Fringed Linanthus prefers open sandy places, below 4000 ft. Often the flower appears to be larger than the rest of the plant which is not saying much. These plants live very low to the ground and do not grow more than a few inches high. In most years this plant blooms from February to April. Fittingly enough these plants are pollinated by small bees. Linanthus dianthiflorus is an annual herb that grows from a thin, hairy stem no more than about twelve centimeters in length. 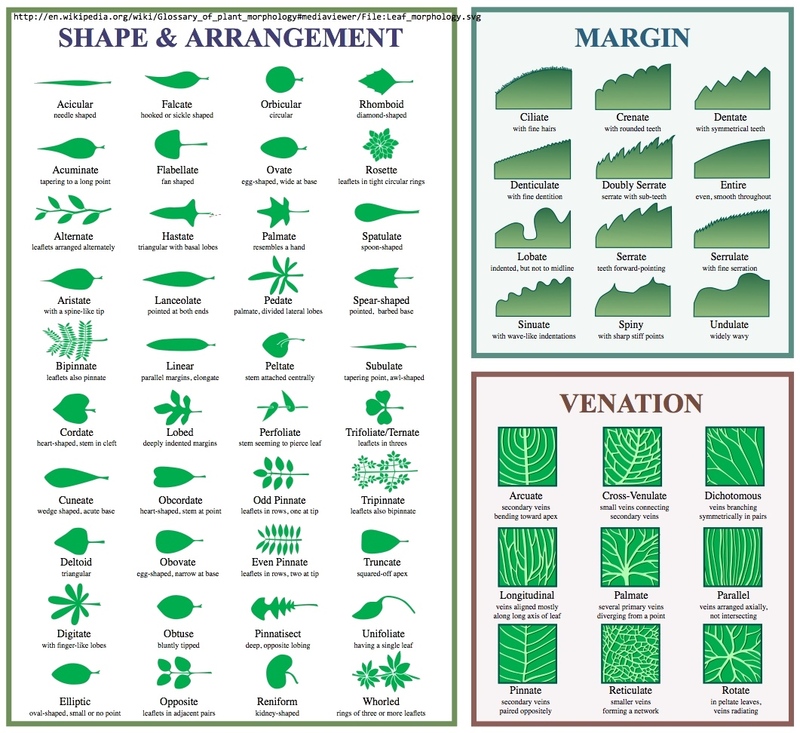 The leaves are linear to threadlike and unlobed (no ridges), reaching a length of about two centimeters. Be sure to click on the picture withthe text labels identifying these parts. The inflorescence has several leaves and one or more flowers with hairy leaflike sepals. Each flower has pale pink, white or lavender lobes with fringed or toothed tips and purple spots at the bases. The throat of the flower has yellow and white coloration. 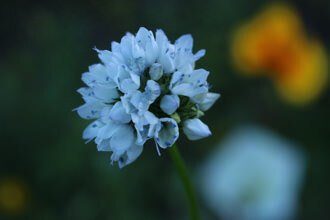 This wildflower is endemic to southern California and is an Annual. This flower like other wildflowers, has been reduced in quantity by the continued growth of civilization. 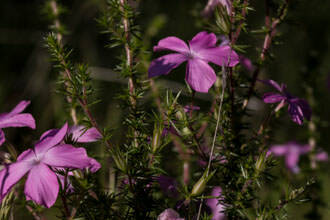 Name Origin: from the Greek, linon,flax and anthos, flower. Dianthiflorus, means that these flowers resemble carnations. Last modified: March 31 2017 21:24:13.